These sneaks from F-Troupe are all canvas with a rubber sole. On a bike, in the park, or just chilling out - I can't imagine not having a ton of fun while wearing these. Available at BBlessing. According to Time Magazine, The international community rejected U.S.-led efforts to expand protections for a number of endangered and threatened species at a meeting of the U.N. Convention on International Trade in Endangered Species (CITES). Of the roughly 40 proposals on the agenda, the most contentious dealt with a prized fish. Japan, which imports nearly 80% of bluefin tuna for use in sushi and sashimi, fought hard against a proposed trade ban. Conservationists warned against prioritizing economic interests over the survival of an entire species. Food Is Bombs. The world's hottest chili is being turned into hand-grenades in India. 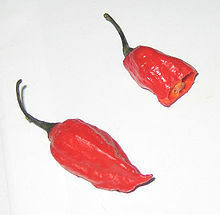 While not deadly, bhut jolokia, the worlds hottest chili, is intended to render suspects harmless in much the same way tear gas does. But just because it's a pepper, does not mean it's not still chemical warfare. Tigers in Twilight. • Shenyang Zoo Abuse: There are tons of reasons to be against zoos, but in China, where 11 endangered Siberian tigers starved to death (and 3 more are in critical condition), it's clear that international attention and action needs to shut these zoo-slums down for good. Some people argue that their kids will never get to see a tiger in the wild, and a zoo is a way to get them to see and care about the tigers. But with this line of logic should we also be caging and showcasing everything else your kids might not see like tribal peoples?Life in a cage for animals that roam free is torture, plain and simple. • To Save a Snow Leopard: In Afghanistan, a hunter captured one of the rarest creatures alive: a snow leopard. 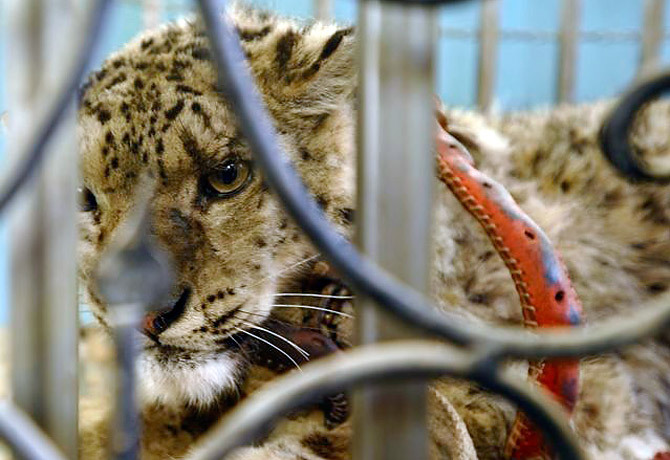 But the hunter who snared the snow leopard saw only a $50,000 price tag. That was the fee supposedly offered by a wealthy Pakistani businessman to any hunter in the Wakhan who could deliver a snow leopard — alive. But the capture of a snow leopard, once believed to be extinct in Afghanistan, didn't stay secret for long. The feline was to become the object of a four-day rescue operation that involved NATO forces, the U.S. ambassador in Kabul, a royal prince and even Afghan President Hamid Karzai. But the mission would end like so many others of similarly good intentions in Afghanistan.